Optical pro gaming mouse that combines precision, a high-resolution Pixart sensor, superior control in any crucial gaming moment and style. Optical pro gaming mouse that combines precision, a high-resolution Pixart sensor, superior control in any crucial gaming moment and style. Ergonomic design featuring the most precise optical sensor on the market, Neon M50 has been designed exclusively for right handed users and it meets the high demands of all esports athletes and enthusiasts. 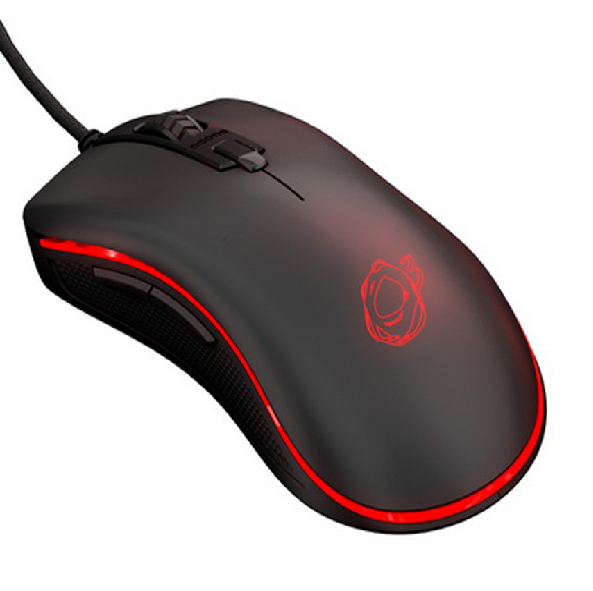 This new mouse is powered with a high resolution sensor, the Pixart PMW3310, regarded as the best optical mouse sensor currently on the market. Enjoy high speed motion tracking and up to 5000 DPI resolution. Intuitively customize the LED of your Neon M50 with up to 16.8 million colors and customize its 6 programmable buttons and high-end 5000 DPI optical sensor with the downloadable software. Neon M50 has been painstakingly designed for right handed users providing the best motion control thanks to its ergonomic design and its side rubber grips. Neon M50 is available in two versions; matt black and glossy white. Download your software from our website and configure your gaming mouse to get the most out of it. Create three different profiles and save them on your mouse to use whenever you change from one game to another. Dpi Adjustable on the fly: switching from 400/800 and 1000/2000 pre-defined DPI settings or customize from driver.